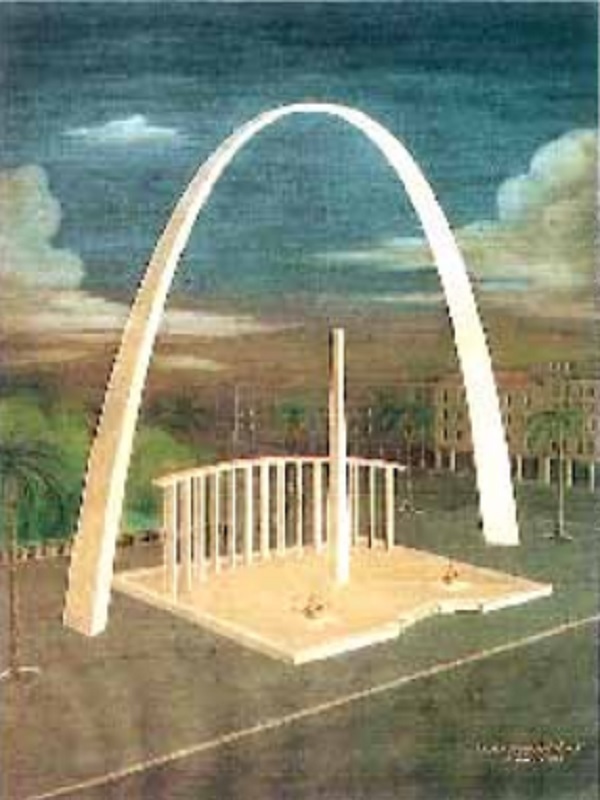 We all know the current Mario Mazzacurati Martyr's Square statue, few know the one which was during the French mandate by Youssef Al Howayek (a part of which is now at the Sursock Museum) but the design above by Sami Abdel Baki is the design that never was. 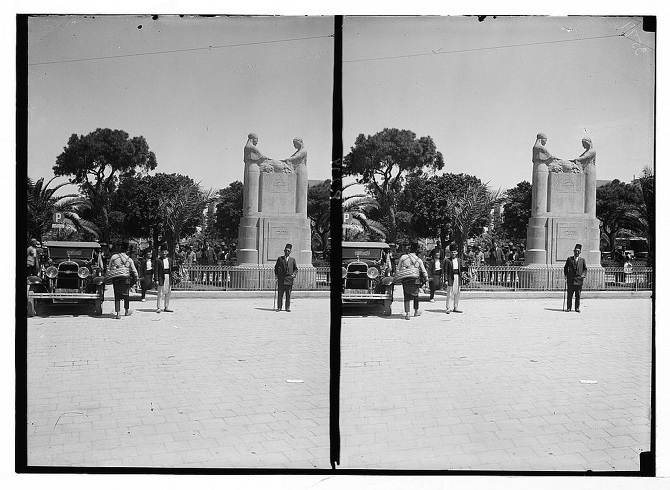 President Camile Chamoun put the inaugural stone but that was it. 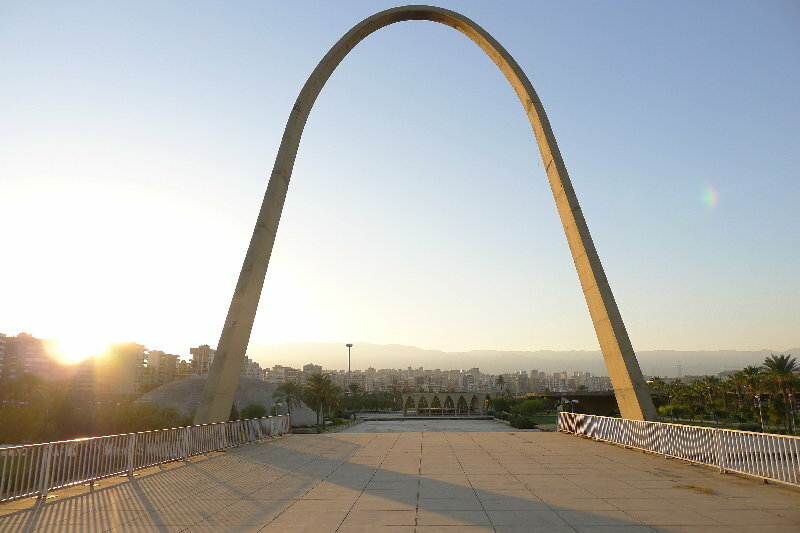 Of course, there are modernist elements and I suppose it does resemble the Oscar Niemeyer Tripoli International Fair in design (not that I mind to be honest). Unfortunately, I have no other images of the design in question and I had to screen capture and enhance to get to the photo above.